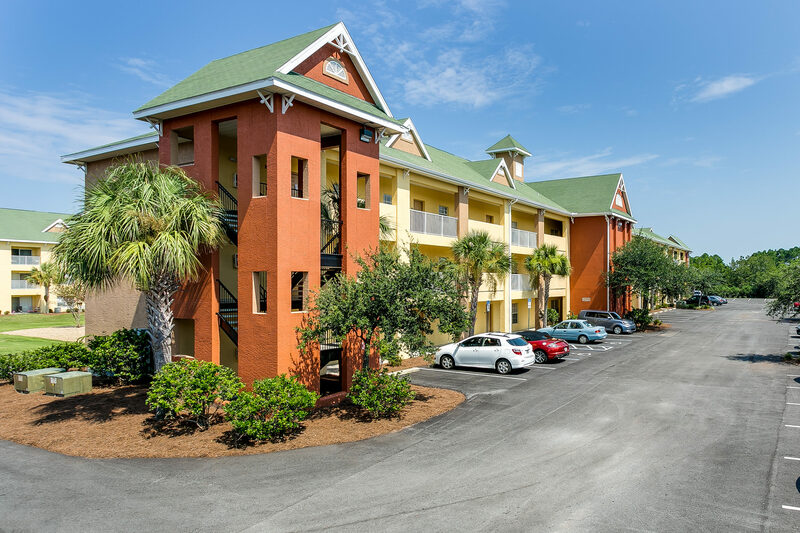 Cayo Grande is a Class B+ apartment community located in Pensacola (Navarre), FL. Cayo Grande was constructed in Phases from 1999 to 2006 and is comprised of 342 units. The property contains a clubhouse with community room, two resort-style pools, fitness center with dry sauna, business center, seven hole putting green, children’s play area, tennis court, grilling and picnic areas, and 651 open parking spaces. Consisting of 11 two and three-story residential buildings and a community center with Stucco exterior, Cayo Grande spans 14.36 acres and has a combined gross building area of 333,720 square feet. All buildings have pitched roofs and all units have individual HVAC and hot water heaters. Cayo Grande has an attractively distributed unit mix of 126 1BD units and 216 2BD units. Units include a fully equipped kitchen with ice maker and microwave, washer and dryer, open floor plans with lofts available, two-tone paint, ceiling fans, walk-in closets, cable and phone jacks, and private a balcony or patio with additional storage. Additionally, some units have vaulted ceilings and select two-bedroom floor plans are fully furnished.